After nearly seven years essentially trapped inside Ecuador's embassy in London, WikiLeaks founder Julian Assange had become an expensive bother to his hosts – they wanted him out. Add WikiLeaks as an interest to stay up to date on the latest WikiLeaks news, video, and analysis from ABC News. "They were over him, he was a big nuisance," one senior U.S. official told ABC News. "They were saying ‘This is too much. How do we get him out?’"
But revoking his diplomatic asylum at a time when he was wanted by the United States for his alleged role in hacking and publicizing some of the nation’s most sensitive government secrets would come only after covert, back-channel negotiations, ABC News has learned. 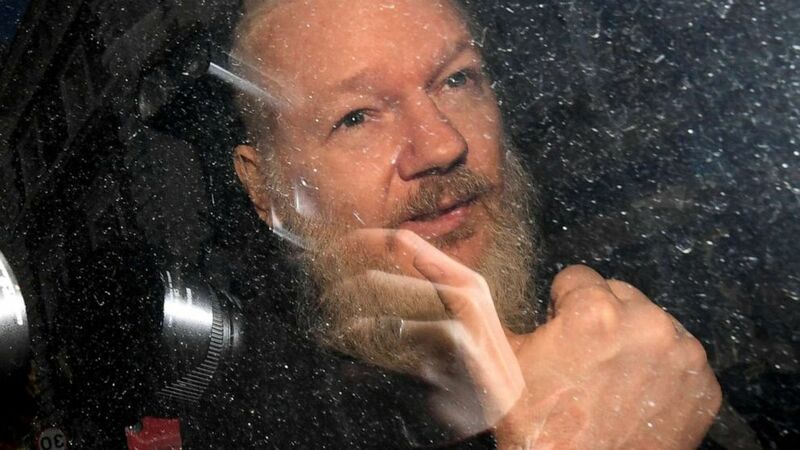 Julian Assange gestures as he arrives at Westminster Magistrates' Court in London, after the WikiLeaks founder was arrested by officers from the Metropolitan Police, April 11, 2019. Ecuador's direct outreach to the U.S. came six months later, through the country’s ambassador to Germany, Manuel Mejia Dalmau, according to U.S. and Ecuadorian officials. Dalmau sought a private "emergency meeting" in Berlin with the U.S. Ambassador to Germany, Richard Grenell, viewed as one of President Donald Trump’s closest envoys in Europe, the officials said. Assange’s presence was also creating a squeeze on the Ecuador’s London facilities, forcing officials there to rent additional offices for an expanding diplomatic staff because Assange took up so much space. 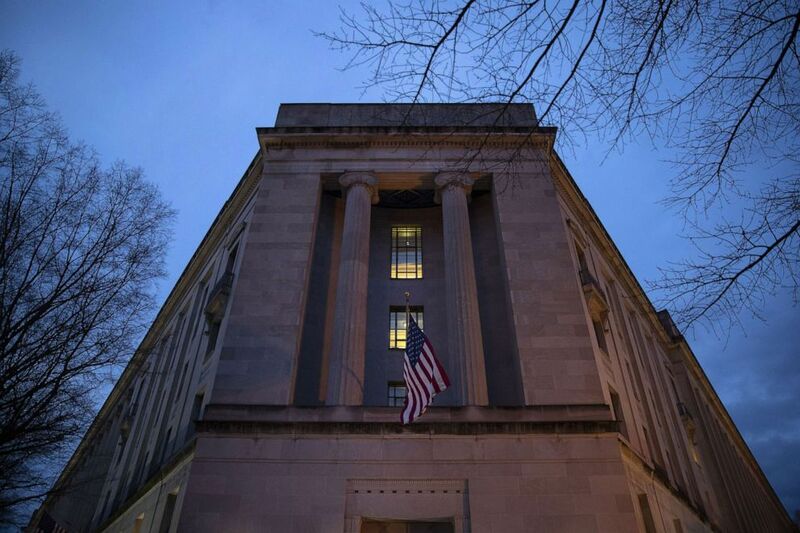 The Department of Justice stands in the early hours of March 22, 2019 in Washington, D.C.